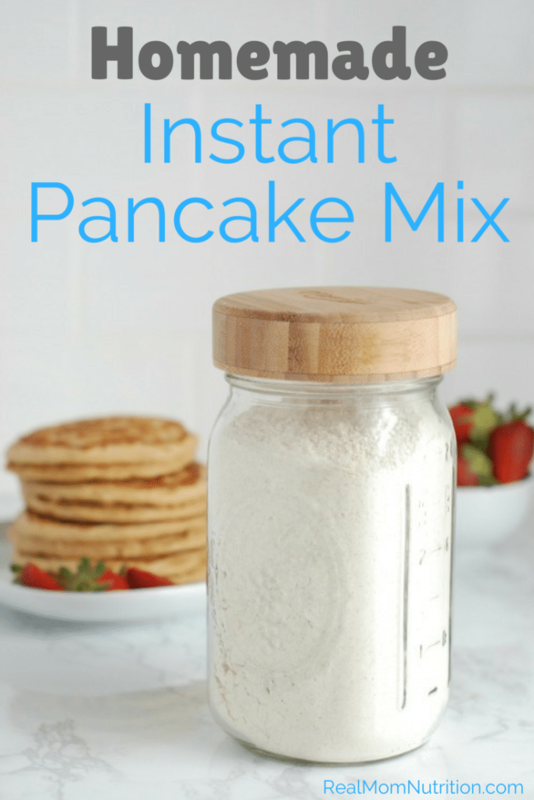 Make your own whole grain instant pancake mix! 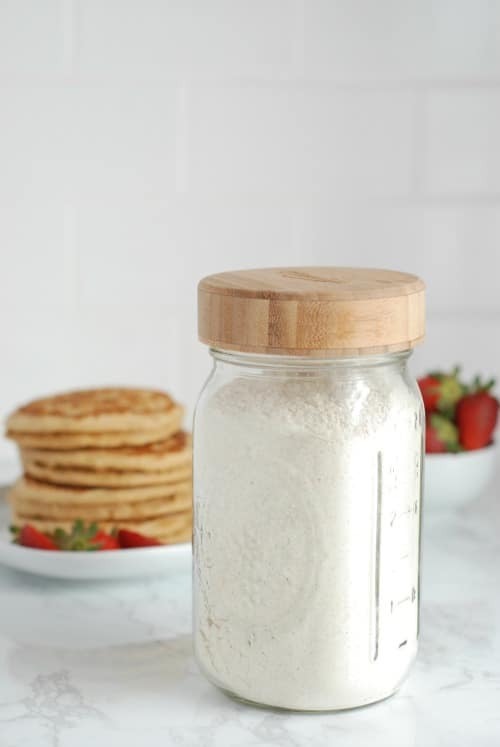 Skip the boxed kind and make up your own batch of homemade pancake mix, made with just five ingredients including whole grain flour. I like to make pancakes from scratch. But frankly, sometimes I don’t feel like hauling out all the ingredients. So I started making my own instant mix. Then all I need to do is add egg, milk, and butter, and we can have weekday pancakes without much fuss. 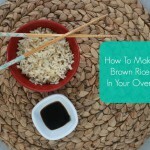 This recipe goes halfsies with all-purpose and whole wheat flour, but feel free to use all whole wheat or all-purpose if you prefer. 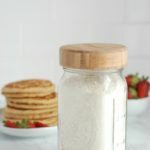 I don’t add any added sugar to my homemade pancakes since my kids eat them with real maple syrup. 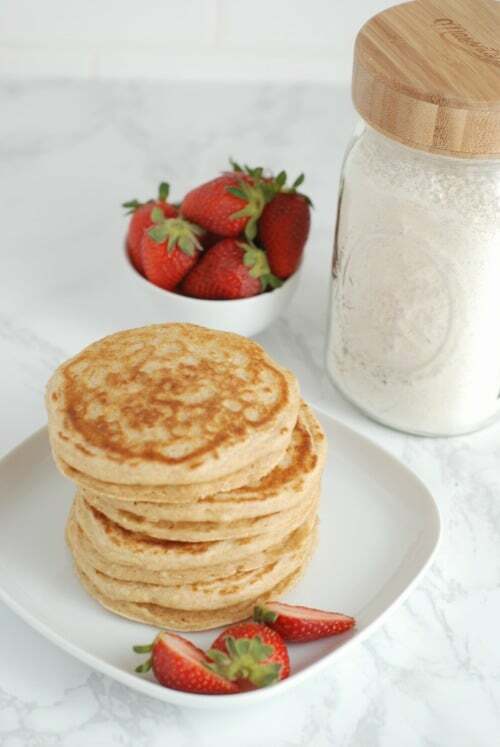 If you like sweeter hot cakes, add a couple tablespoons of brown or white sugar to the mix. 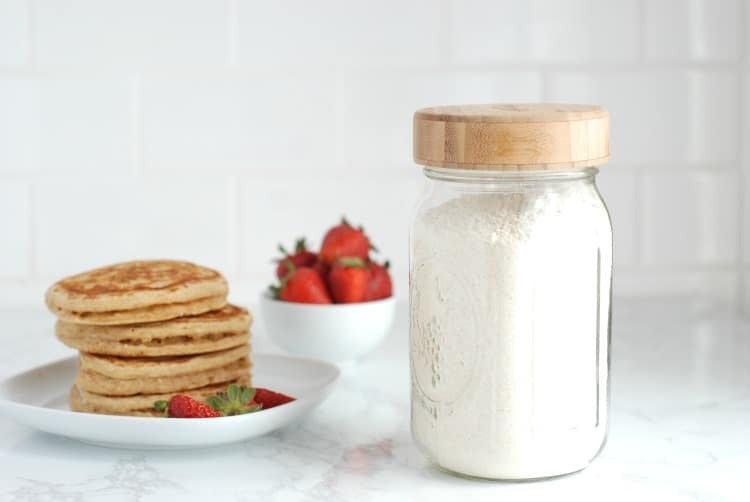 Keep a batch of this homemade pancake mix on hand for easy, whole grain hot cakes anytime. 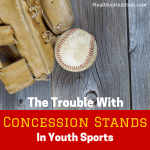 Combine flours, baking powder, baking soda, and salt in a large bowl and mix thoroughly. Transfer to an airtight jar or container. To make a batch of pancakes, whisk 1 egg in a medium bowl. Add one cup of pancake mix, 1/2 cup milk (more if you prefer thinner batter), and 2 tablespoons melted butter (slightly cooled). Stir just until combined, do not overmix. Fold in any additional mix-in like blueberries, banana slices, or chocolate chips. While batter is resting, heat a griddle over medium heat and brush with butter. Scoop the batter onto the griddle in 1/4-1/3 cup portions, flip when top is bubbly and underside is lightly browned. If you like the bamboo jar lids shown in these photos, you can find a small-mouth version in my Amazon Shop. 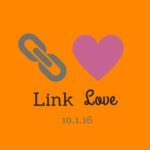 Disclosure: As an Amazon Affiliate, I receive a very small commission from sales (but your cost is the same). 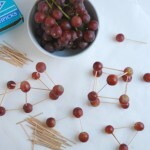 Healthy Class Party Idea: Grape Sculptures! Just what I was looking for! You many pancakes in one batch? How many batches in the mix? One batch (using one cup of mix) makes about five medium-large pancakes. There are roughly 4 batches in the whole mix. Hope that helps! which butter shd i use? Salted or unsalted, your choice!